Looking for Better Relationships? Let the Experts Tell You How! Deepening Your Personal Relationships was written by three experts in the field. Their combined expertise will help you in Developing Emotional Intimacy and Good Communication, which will be beneficial in all types of relationships. Everyone wants to improve and deepen their relationships. 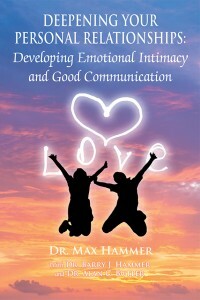 The book explains how to achieve healthy and fulfilling interpersonal relationships by using effective communication, empathy, shared transformational development, and constructive conflict resolution to achieve this aim. Deepening Your Personal Relationships provides original, meaningful, and transformational insights that are especially helpful in understanding how to overcome our subconscious resistance against emotional intimacy and good communication. The goal is to understand how good relationships can produce enhanced levels of spiritual development, psychological healing, self-understanding, creative functioning, inner peace, happiness, and ultimately, fulfillment in life. A section on improving society through enhancing interpersonal relationships is also included. Thus, readers wanting to enhance their personal relationships, gain insight into transformational self-help, and achieve social transformation will find this book especially helpful. The authors anticipate that this book will also be of keen interest to professional relationship counselors, including marriage counselors, family counselors, and conflict mediators, as well as community organizers and social activists.